Kacey Shields celebrates after winning the Grand National main event on Friday, June 29, 2018, at the Lakeside Speedway in Kansas City, Kan. Excitement was in the air for the Kid’s Dash-4-Cash and racing on the river’s edge at the Lakeside Speedway Friday night with 71 competitors checked in for the night’s events. Fourth-starting Marshall Jewett took command on lap 2 of the Factory Stock heat and bested David Nickel for the win. Kacey Shields grabbed the lead on lap four and never looked back leading Nick Drew Jr. across the finish line in Grand National action. Jason McCaulley led for the race distance over two-time feature winner Steven Bunton in Four-Cylinder action for a heat victory. E-Mod drivers raced in a pair of heat races with victories going to Tim Billings over Trevor Hand and Jessie Mulich in a dominating win over a hard-charging Ben Stockton. Brett Heeter took the win over Tom Fogarty in the opening USRA Stock Car heat with Kevin Anderson picking up the win over Tim Shields in heat 2. USRA B-Mods were up next in the order with Tim Powell taking command in the opening heat race over Andy Bryant, and Luke Nieman besting Brad Smith for heat race 2. USRA Modifieds completed the prelim action for the night with Darron Fuqua leading the way in heat 1 over Mark Schafman and Tim Karrick picking up the heat 2 win ahead of Aaron Marrant. During the intermission break, the Kid’s Dash-4-Cash took place with over $2,100 in coins spread out across the front straight-away up for grabs. There were also special prizes including bicycles, T-shirts and die-cast cars on the line for the 176 kids up to age 12 registered for the fun. Lakeside Speedway sincerely thanks all contributors for their contributions and Al Burke for his efforts in making sure it was a memorable night for the kids. Event sponsors included Varsity Sports, A&A Granite, Baker’s Recovery & Tow, Tim Powell Roofing, Al's Bar & Grill, Melvin Motorsports, The Twisted Spur, Racinboys.com, Rainbow Roofing, Main Street Auto Body & Tow, Seeburg Muffler, Halos & Hogs, Creative Concrete, Crazy Dave Racing, Linda Howell, Mary Howell Marshall, Vicky & Terry Wantland and Bob Reber. After the Kid’s Dash-4-Cash, drivers returned to action for their main events of the night. Factory Stocks kicked off the action with Matthew Matsukevich leading early until Jewett took command at lap 3 and eventually claiming his seventh win of the season. Tim Billings was second with Matsukevich third. The Grand National main had a dramatic turn of events at lap 7 when race-long leader Kacey Shields spun from the lead and restarted sixth for the restart. As the field came around again, Shields found himself back out front as drivers ahead of him experienced trouble navigating the turns. Don Marrs finished second with Nick Newton third. In Four-Cylinder action, John Willard dominated the action to claim his first-ever Lakeside Speedway victory over McCaulley and David Petty Jr.
E-Mods then made their way out for a 15-lap feature with Billings dominating for his second victory this season using up the high side on the way to his win. Stockton ran a strong second with Mulich third. Heeter dominated the USRA Stock Car competition to pick up his division-leading fifth feature win of the season over Anderson and Tim Shields. Smith held off a hard-charging Bryant to secure his third Lakeside Speedway USRA B-Mod main event of the season with Bryant second and Powell third. USRA Modifieds finished up the night with their 20-lap feature race. Fuqua held off a strong run from Marrant to collect his fourth victory of the season at Lakeside and 12th overall USRA Modified win to pad his Summit USRA Weekly Racing Series national points lead. Marrant finished second with Nic Bidinger third. UP NEXT: Friday, July 6, is the Joe Berry Clash of the B-Mods brought to you by Metro Pawn and Luke Nieman Fencing. The night also features a full fireworks show. Weekly Racing Series featuring USRA Modifieds, USRA Stock Cars, USRA B-Mods, Factory Stocks, E-Mods and guest class Mod-Lites will race. The pit gate opens at 5 p.m., spectator gates open at 5:30, the drivers meeting begins at 7:15, hot laps start at 7:30 and racing gets underway at 8 p.m. General admission is $12, seniors (65+) and military are $10, kids ages 7-12 are $6 and children 6 and under are free. Suite tickets are $20 with kids ages 2-12 just $10. 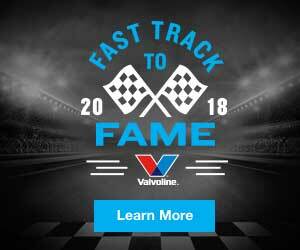 Pit passes are $30 with kids 6 and under $10. Next week is also Union Night at the Lakeside Speedway. Show your union card and your general admission is free. USRA B-Mods will compete for $1,500 to win. Complete results, schedule information, track details, car class rules, and news is available on the track’s website at www.lakesidespeedway.net. Contact the track at (913) 299-9206. The track location is 5615 Wolcott Dr. in Kansas City, Kan.
1. (2) 87 Darron Fuqua, Mayetta, Kan.
2. (3) 34 Mark Schafman, Edwardsville, Kan.
3. (4) 21T Lance Town, Louisburg, Kan.
4. (5) 7J Justin Johnson, Olathe, Kan.
5. (1) 74 Rodney Schweizer, Kansas City, Kan.
6. (6) 66T Tyler Schmidt, Easton, Kan.
1. (1) 1K Tim Karrick, Basehor, Kan.
2. (4) 70 Aaron Marrant, Richmond, Mo. 3. (3) 68 Kerry Davis, Parkville, Mo. 4. (5) 3B Nic Bidinger, Perry, Kan.
5. (2) 227 Chase Domer, Nevada, Mo. 6. (6) 13H Eric Hanna, Maryville, Mo. 3. (8) 3B Nic Bidinger, Perry, Kan.
4. (5) 34 Mark Schafman, Edwardsville, Kan.
5. (11) 66T Tyler Schmidt, Easton, Kan.
6. (6) 1K Tim Karrick, Basehor, Kan.
7. (1) 21T Lance Town, Louisburg, Kan.
8. (10) 227 Chase Domer, Nevada, Mo. 9. (7) 7J Justin Johnson, Olathe, Kan.
10. (12) 13H Eric Hanna, Maryville, Mo. 11. (9) 74 Rodney Schweizer, Kansas City, Kan.
12. (2) 68 Kerry Davis, Parkville, Mo. 1. (2) 05 Brett Heeter, Louisburg, Kan.
2. (1) T2 Tom Fogarty, Olathe, Kan.
3. (3) 00 Nick Whalen, Kansas City, Kan.
5. (5) 30 Dakota Jennings, Lansing, Kan.
3. (3) 27 David Oxford, Platte City, Mo. 4. (2) 41K Vernon Kever, Kansas City, Mo. 5. (5) 25C Kyle Courtney, Kansas City, Mo. 1. (5) 05 Brett Heeter, Louisburg, Kan.
2. (6) 417 Kevin Anderson, Kansas City, Mo. 3. (2) 42T Tim Shields, Kansas City, Mo. 4. (3) T2 Tom Fogarty, Olathe, Kan.
6. (1) 27 David Oxford, Platte City, Mo. 7. (4) 00 Nick Whalen, Kansas City, Kan.
8. (8) 41K Vernon Kever, Kansas City, Mo. 9. (9) 30 Dakota Jennings, Lansing, Kan.
10. (10) 25C Kyle Courtney, Kansas City, Mo. 1. (3) 57 Tim Powell, Lansing, Kan.
2. (7) 28 Andy Bryant, Fort Scott, Kan.
3. (2) 9 Don Marrs, Shawnee, Kan.
4. (5) 3x3 Nick Newton, Kansas City, Kan.
5. (1) 32 Shelby Manthe, Eudora, Kan.
6. (4) 47 Tyson Lanfermann, Kansas City, Mo. 7. (6) 2 Jason Billups, Holt, Mo. 8. (8) 10C Christopher Connel, Leavenworth, Kan.
1. (1) 181 Luke Nieman, Nortonville, Kan.
2. (2) 99 Brad Smith, Belton, Mo. 3. (5) 0 Chase Galvan, Bonner Springs, Kan.
4. (6) 49 Patrick Royalty, Kansas City, Kan.
5. (3) 97J Jeff Elder, Smithville, Mo. 6. (7) 1 Kyle Henning, Atchison, Kan.
7. (4) 73 Tommy Summers, Blue Springs, Mo. 1. (1) 99 Brad Smith, Belton, Mo. 2. (5) 28 Andy Bryant, Fort Scott, Kan.
3. (3) 57 Tim Powell, Lansing, Kan.
4. (7) 49 Patrick Royalty, Kansas City, Kan.
5. (8) 3x3 Nick Newton, Kansas City, Kan.
6. (6) 181 Luke Nieman, Nortonville, Kan.
7. (4) 0 Chase Galvan, Bonner Springs, Kan.
8. (2) 9 Don Marrs, Shawnee, Kan.
9. (11) 1 Kyle Henning, Atchison, Kan.
10. (13) 2 Jason Billups, Holt, Mo. 11. (12) 47 Tyson Lanfermann, Kansas City, Mo. 12. (10) 97J Jeff Elder, Smithville, Mo. 13. (9) 32 Shelby Manthe, Eudora, Kan.
14. (14) 10C Christopher Connel, Leavenworth, Kan.
DNS – 73 Tommy Summers, Blue Springs, Mo. 1. (4) 42C Kacey Shields, Kansas City, Mo. 2. (1) 15 Nick Drew Jr., Kansas City, Kan.
3. (6) 9 Don Marrs, Shawnee, Kan.
4. (3) 29 Dennis Melvin Sr., Basehor, Kan.
5. (7) 5 Terry Bivins, Lebo, Kan.
6. (2) 8c Cami Bruner, Kansas City, Kan.
7. (5) 711 Nick Newton, Kansas City, Kan.
1. (1) 42C Kacey Shields, Kansas City, Mo. 2. (3) 9 Don Marrs, Shawnee, Kan.
3. (6) 711 Nick Newton, Kansas City, Kan.
4. (5) 29 Dennis Melvin Sr., Basehor, Kan.
5. (2) 8c Cami Bruner, Kansas City, Kan.
6. (4) 15 Nick Drew Jr., Kansas City, Kan.
DNS – 5 Terry Bivins, Lebo, Kan.
2. (2) .05 David Nickel, Kansas City, Kan.
3. (1) 4 Tim Billings, Liberty, Mo. 4. (5) 16 Matthew Matsukevich, Trimble, Mo. 5. (3) 18 Wayne Brooke, Atchison, Kan.
6. (6) 79 Oliver Harris, Tonganoxie, Kan.
7. (7) 78 Clint Bell, Paola, Kan.
2. (2) 4 Tim Billings, Liberty, Mo. 3. (1) 16 Matthew Matsukevich, Trimble, Mo. 4. (3) .05 David Nickel, Kansas City, Kan.
5. (5) 18 Wayne Brooke, Atchison, Kan.
6. (6) 78 Clint Bell, Paola, Kan.
DNS – 79 Oliver Harris, Tonganoxie, Kan.
1. (1) 25 Tim Billings, Liberty, Mo. 2. (2) 236 Trevor Hand, Bonner Springs, Kan.
3. (3) 28S Shawn Burns, Overland Park, Kan.
4. (6) 4M Steven Makar, Basehor, Kan.
5. (5) 09 Shaunie Lanning, Kansas City, Mo. 6. (4) 16 Paul Lanfermann II, Atchison, Kan.
DNS – 00 Gavin Stark, Osawatomie, Kan.
1. (2) 90 Jessie Mulich, Bonner Springs, Kan.
2. (3) 33S Ben Stockton, Kansas City, Mo. 3. (1) 07 Adam Schelert, Leavenworth, Kan.
5. (4) 15E Dakota Earls, Independence, Mo. 6. (6) 99 Emma Martin, Independence, Mo. 1. (2) 25 Tim Billings, Liberty, Mo. 3. (5) 90 Jessie Mulich, Bonner Springs, Kan.
4. (8) 63 Billy Spilman, Rushville, Mo. 5. (1) 28S Shawn Burns, Overland Park, Kan.
6. (7) 4M Steven Makar, Basehor, Kan.
7. (9) 09 Shaunie Lanning, Kansas City, Mo. 8. (11) 16 Paul Lanfermann II, Atchison, Kan.
9. (6) 236 Trevor Hand, Bonner Springs, Kan.
10. (12) 99 Emma Martin, Independence, Mo. 11. (10) 15E Dakota Earls, Independence, Mo. 12. (3) 07 Adam Schelert, Leavenworth, Kan.
13. (13) 00 Gavin Stark, Osawatomie, Kan.
1. (1) 13 Jason McCaulley, Oak Grove, Mo. 3. (4) 1/2 John Willard, St. Joseph, Mo. 4. (5) 55 David Miller, St. Joseph, Mo. 5. (3) 66B Barry Luthi, Topeka, Kan.
6. (6) 6 David Petty Jr.
7. (7) 3Y Bradley Yonts, Leavenworth, Kan.
2. (6) 13 Jason McCaulley, Oak Grove, Mo. 3. (2) 6 David Petty Jr.
4. (5) 55 David Miller, St.Joseph, Mo. 6. (7) 3Y Bradley Yonts, Leavenworth, Kan.